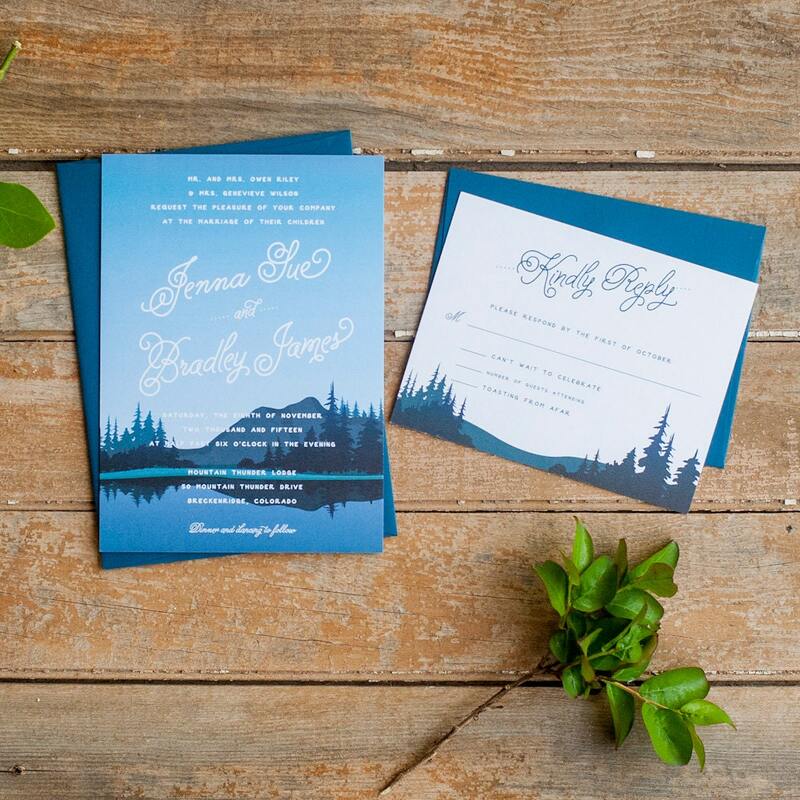 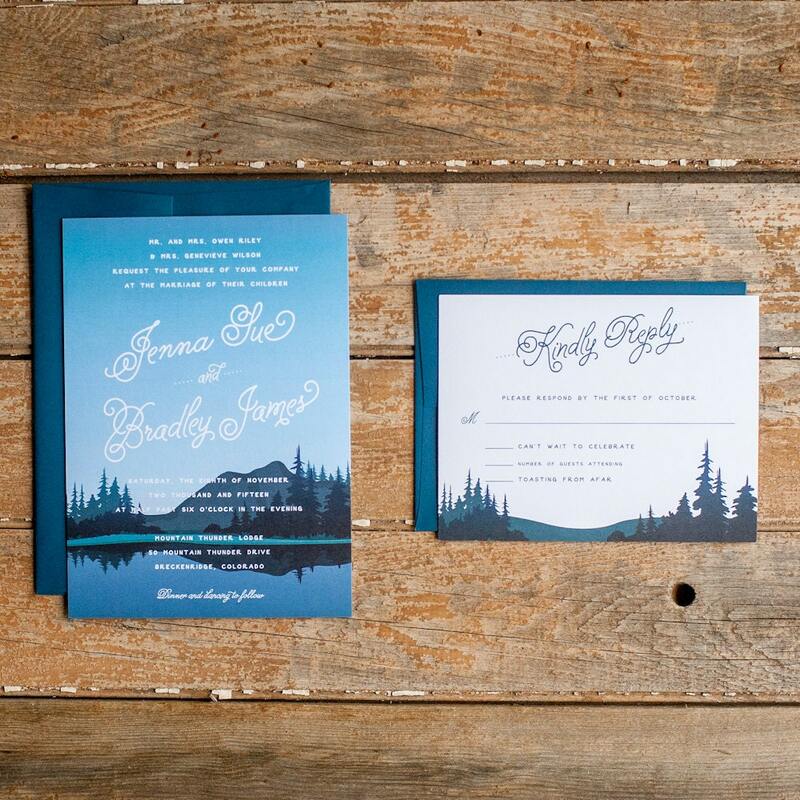 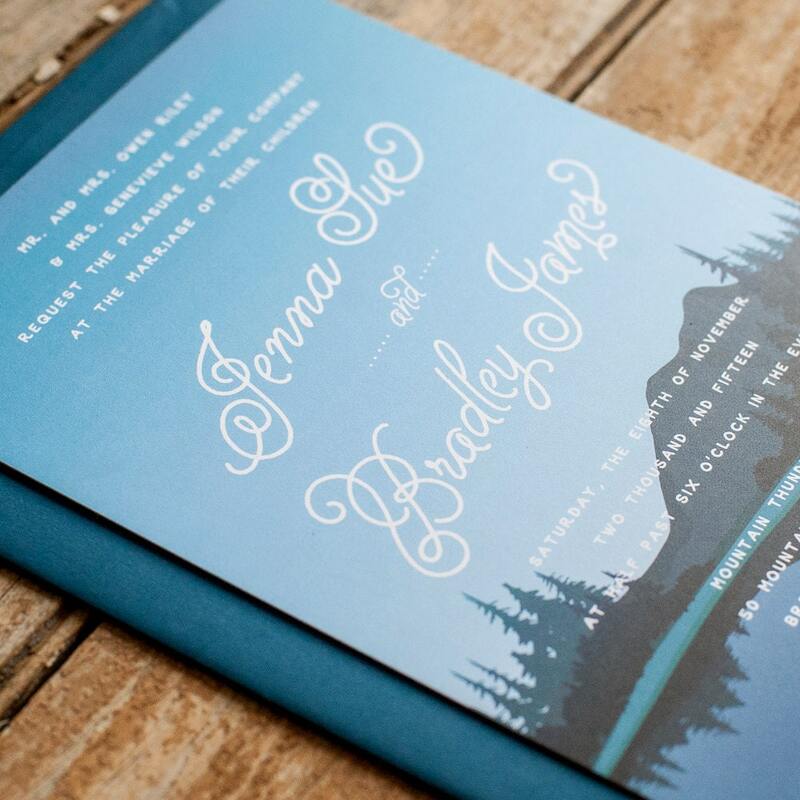 The Breckenridge wedding invitation - ready to invite your guests to your rustic mountain wedding. 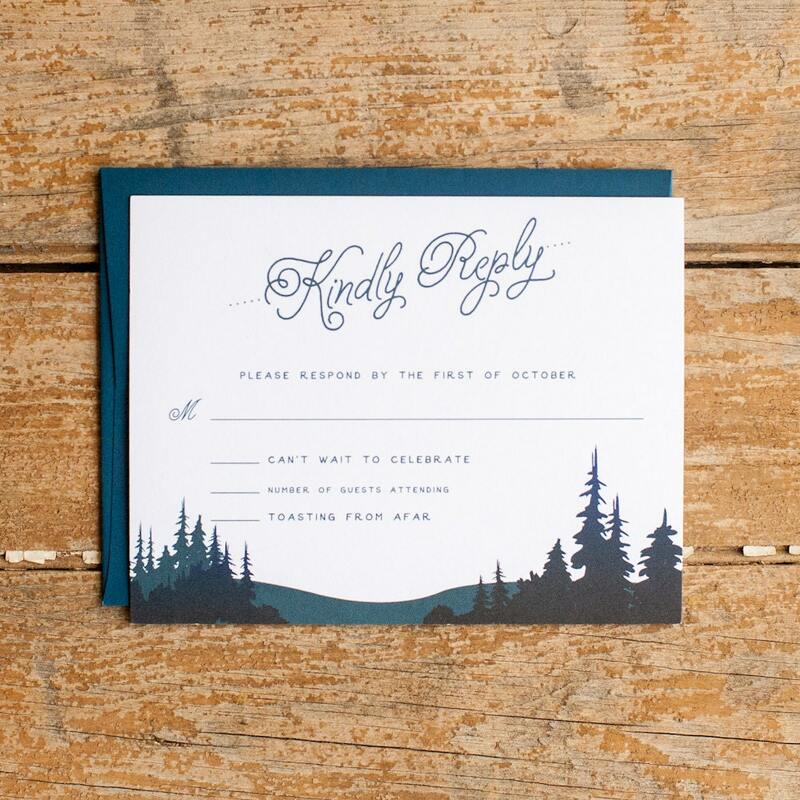 Our illustrated invitation set includes the invitation and RSVP (additional pieces, such as info cards, are available as well). 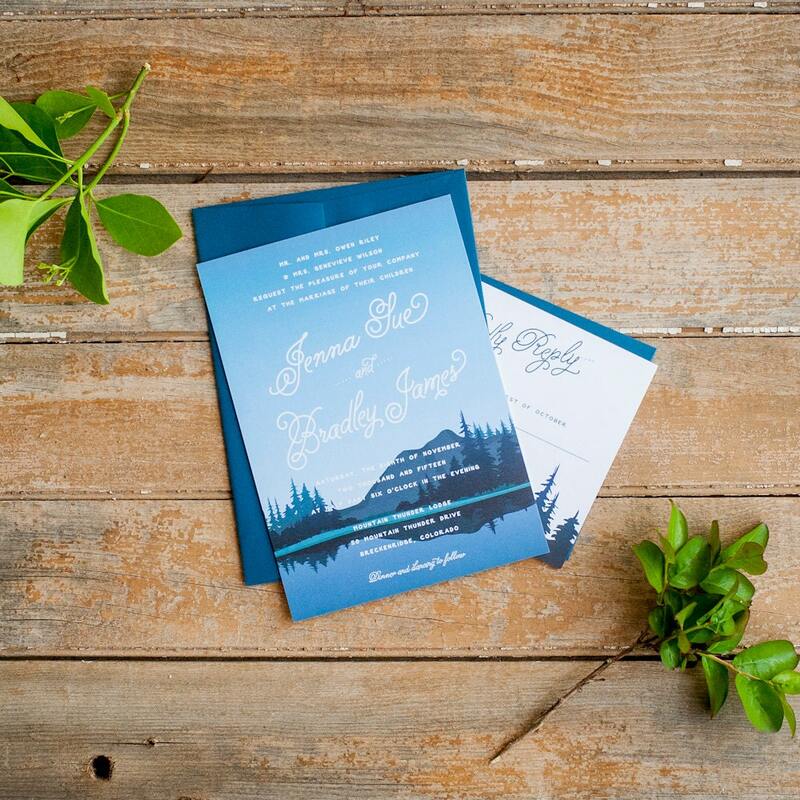 Shown here on our classic matte paper with navy envelopes, the Breckenridge is a simply lovely rustic statement piece with a jaunty script and a rustic text.